Online shopping is an indulgence that many internet savvy folks have tried, and it can be a way of saving money when you can track down the right deals and coupons. 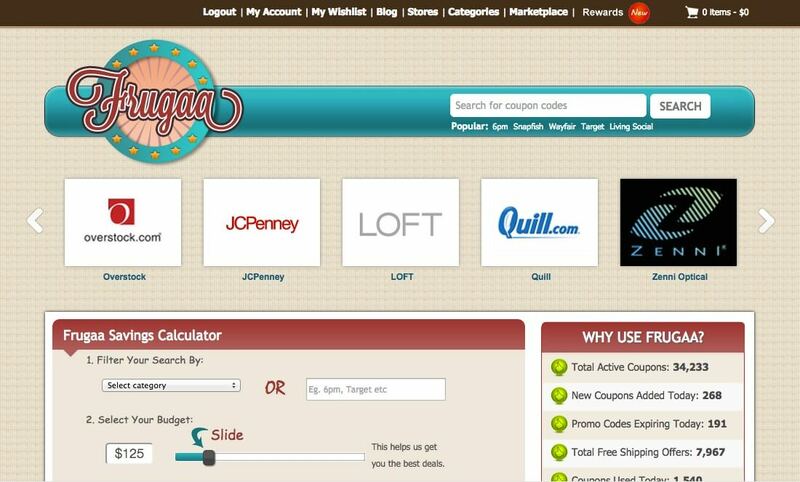 And while there are many sites for finding deals and coupons, they all have their quirks that make them right for their users. This new Frugaa.com site seems to combine a lot of features you don’t find on all the deal sites, like rewards and badges for every action you do on their website. And while the Gamification aspect of the site is fun, you may wonder if it actually works well for finding the deals and coupons that you’re looking for? Well, like any site, it relies heavily on user generated data and at the time I tested it – possibly still too early to tell. Which is probably why you really need to try it for yourself to see if the deals you want and the stores you frequent are on there. I saw many online stores that I have shopped at in the past, so that is always a promising feature for me.